Fact: I have a lot of time on my hands. Fact: It's winter in Alberta. Fact: I have OCD tendencies (and a fondness for Dwight Schrewt). Yes, the Perfect Storm for tortilla making. 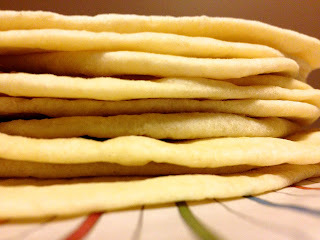 I will never buy store bought flour tortillas again; these are easy to make and so much better IMHO. Mix the dry ingredients, add the wet ingredients, mix well, knead for a few minutes, let rise in an oiled bowl. 30 minutes later, you'll have this dough ball ready to roll. Divide into 12 pieces....here's where the OCD comes in handy....divide the dough in half, roll the 2 pieces into logs and divide in half again....shape the 4 pieces into log shapes and divide each into 3 pieces. Believe it or not, this is the easy way...I use to weigh each piece.... 2.2 ounces each....laces out.....Yeah, I am that kooky. Now you'll have 12 pieces. Take each piece and pinch together the sides, then pinch the opposite sides, and repeat (pinch together 4 times total). When you are done you'll almost have a perfect ball shape. Flatten the ball into a disc, this will enable a roundish tortilla. Now for some more OCD...on a lightly floured surface roll out from the center away from you, give the disk a 1/4 turn and repeat. Keep rolling and 1/4 turning until 1/8" thick. You can get into a sort of rhythm here...while one is cooking, roll out the one on-deck. Cook on a preheated nonstick pan (medium heat), flip when air bubbles form. Cook for about another minute. Stack and cover tortillas with a kitchen towel to keep them warm and pliable. Resist the urge to shmear honey on one and eat it hot off the pan. We had topped ours with leftover pot roast, carrots & red cabbage and a little cheese. Sift or whisk the flour, salt, & baking powder. Add the oil and mix until well incorporated, add the water and mix until a ball is formed. Knead in the bowl or on the counter top a few minutes until dough is smooth. 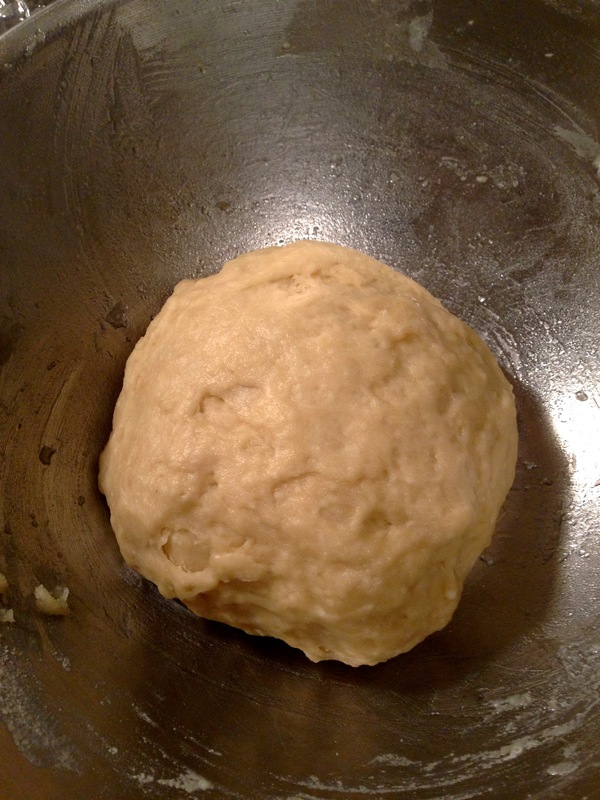 Lightly oil the bowl and let dough rest at least 30 minutes, can also be refrigerated overnight. Divide into 12 pieces, roll into 1/8" thick rounds and cook on a dry preheated (medium heat) nonstick or cast iron pan. Cook for about a minute, flip when bubbles form, cook for another minute. Stack and cover with a kitchen towel. Once cooled, store in a Ziploc bag. OMG Dwight! Bears. Beets. Battlestar Galactica. Thanks for stopping by my blog! 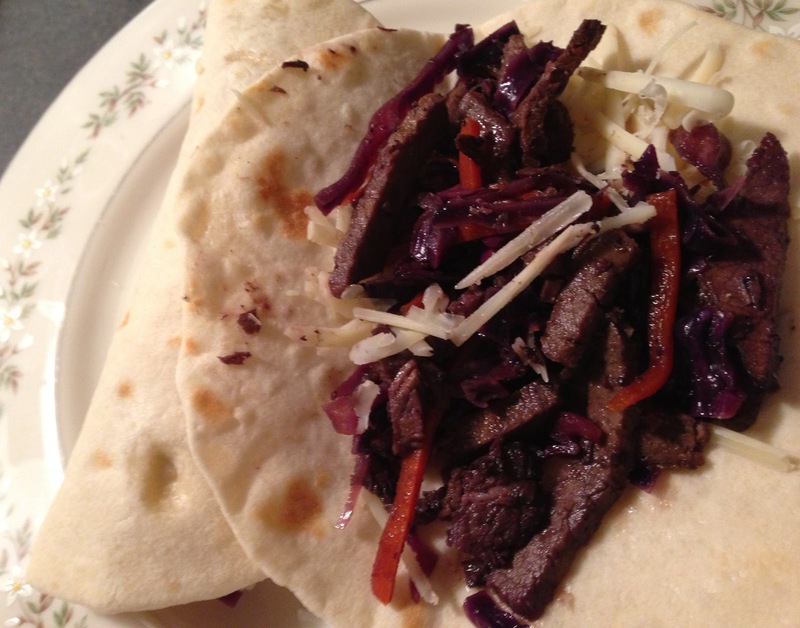 Homemade tortillas are heaven, truly--yours look great. I've always wanted to make my own tortillas. These look amazing.